As SF predicted, the Syrian army, Hezbollah and the National Defense Forces (NDF) launched an offensive operation against ISIS in the province of Homs. Government forces attacked ISIS terrorists near the Tyas Airbase and retook the Tyas crossroads and the village of Sharifah. 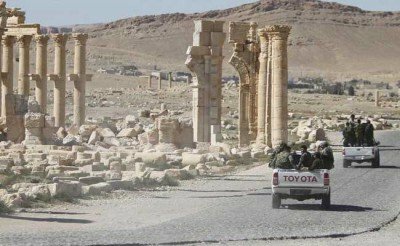 Over 170 ISIS fighters, 15 vehicles and 4 battle tanks belonging to the terrorist group were reported destroyed in the recent clashes and airstrikes near Palmyra. Now, the Syrian army, Hezbollah and the NDF will likely develop a flanking attack south of the Homs-Palmyra highway and launch a direct push in the direction of Palmyra.